Operators in any programming language are used when you want to calculate something new: they operate on values. variables, or expressions to produce a new value. As we have seen before, in ScriptCraft you use a drone to do your building for you. The drone has functions that are part of it. 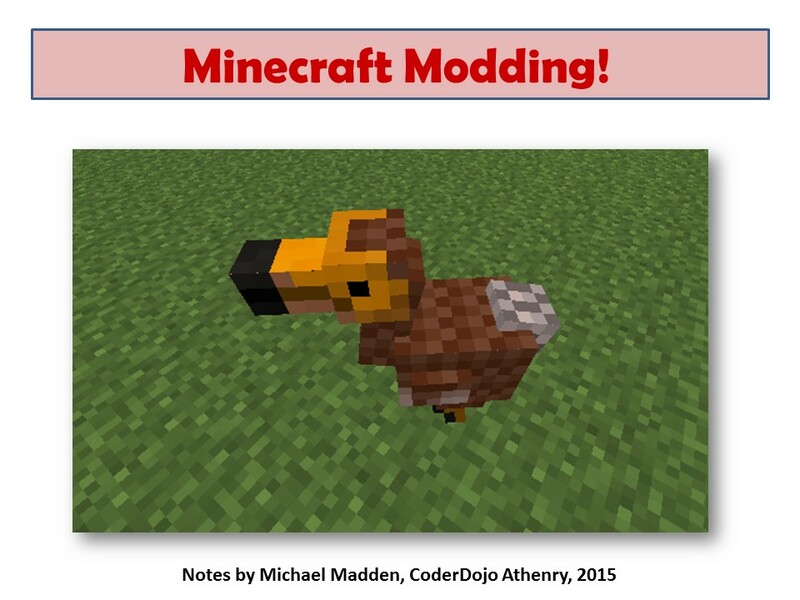 This example is based on a very nice program writing by Ruaidhri from Coderdojo Athenry last year, updated slightly because some ScriptCraft commands have changed in the meantime. // slightly updated by Michael and Alex. // Builds a pyramid with entrance and lights inside. This season at CoderDojo Athenry, the advanced groups are all starting with taster sessions of the various topics we will cover. 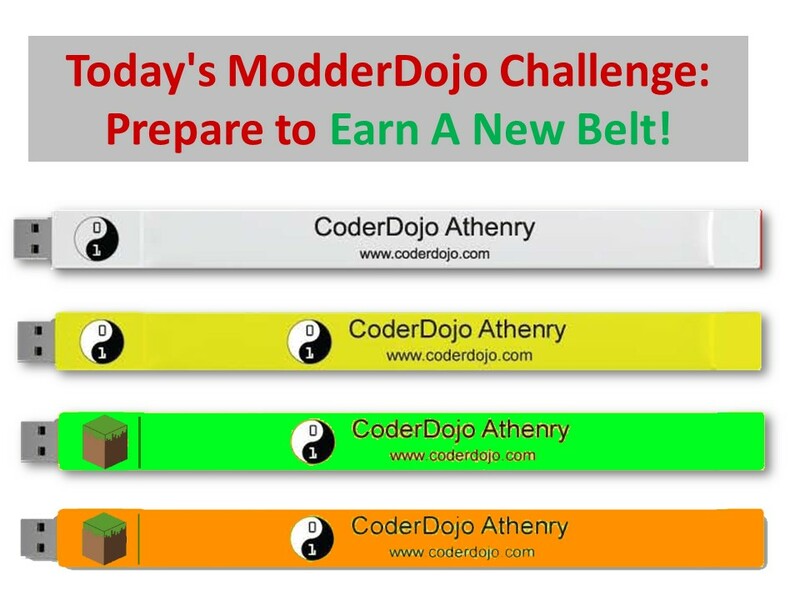 At our Minecraft ModerDojo session on 9 May, we reviewed the criteria for earning belts. The details are in the presentation link (PDF).